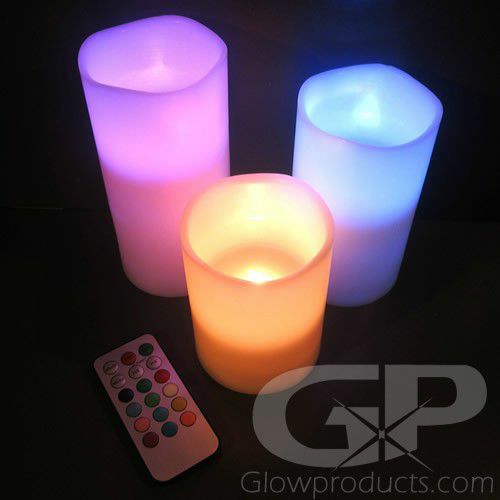 - 3 piece LED Candle Set with Remote Control! 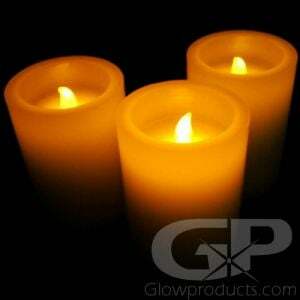 - One each of 4", 5" & 6" Flameless Candles! 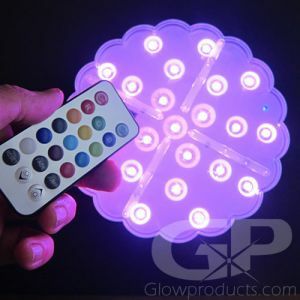 - 15 Different Light & Color Modes! - Steady, Flicker and Color Changing Light Modes! - Weddings! Celebrations! Holiday Decor! The Flameless LED Candle Set with Remote Control comes with 3 Multi-Color Flameless LED Pillar Candles in varying heights. And with the included remote control, you get to be the master of a roomful of colorful bright LED Candles! Each of the Flameless LED Candles has 12 different color settings to choose from and three light modes - a color changing rainbow mode, steady light mode and flickering flame mode! 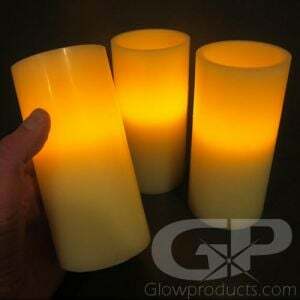 The No Flame Candle set includes a 4 Inch LED Pillar Candle, a 5 Inch LED Pillar Candle and a 6 Inch LED Pillar Candle. 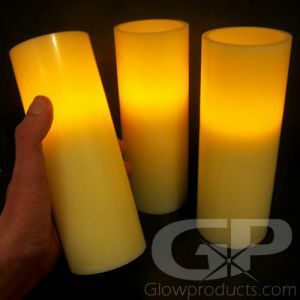 The Battery Operated Multi Color LED Candles are made from real parrafin wax to simulate a true pillar candle and each has shut off timers that can automatically turn off the no flame candles at either 4 or 8 hours. And if you just turn them on and leave them on they'll stay lit for well over 12 hours - allowing plenty of time for party set up and actual partying! The three candles that come in the set can be independently set to different colors to create that stunning lighted environment to fit your specific theme, or they can be set to all the same color. The choice is yours! Choose a warm yellow to simulate a true flame color or choose the bright white light for a more modern feel. Having a pretty in pink party? Light up the various pink settings! Or you can go with a cool blue for chilled out party lighting. 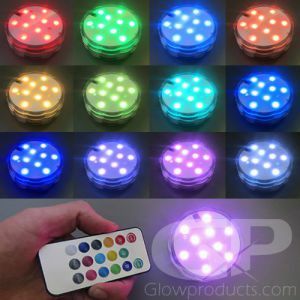 The possibilities are endless with 12 color modes, multiple light settings, 3 staggered candle sizes and a remote to control it all! 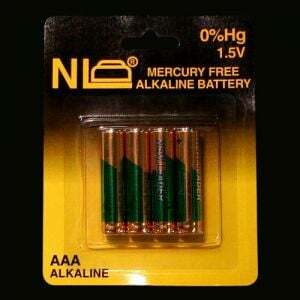 Instructions: Remove the LED Candles and the Remote Control from the box packaging and insert 3 pieces of AAA batteries into each LED Candle. The included remote comes with a pre-installed CR2025 coin cell battery. The range on the remote control is approximately 8-10 feet. Point the remote control directly at the LED candles.